EGLIN AFB, Fla. --- The F-35 fighter jet’s logistics backbone has proven so clunky and burdensome to work with that the U.S. Air Force’s instructor pilots, as well as students learning to fly the aircraft, have stopped using the system, Defense News has learned. ALIS has been a disappointment to maintainers in the field, with updates coming behind schedule and many workarounds needed so it functions as designed. 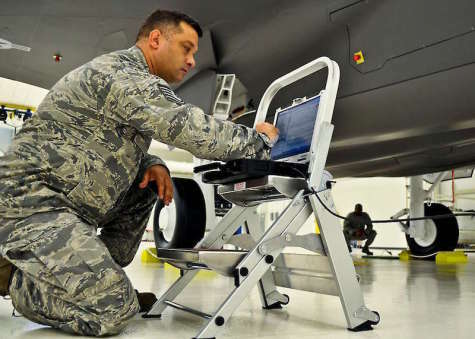 But the Air Force’s F-35A instructor and student pilots at Eglin Air Force Base, Florida, and Luke Air Force Base, Arizona, were so disappointed with the performance of ALIS’ training system that they bailed entirely, confirmed Col. Paul Moga, commander of Eglin’s 33rd Fighter Squadron.